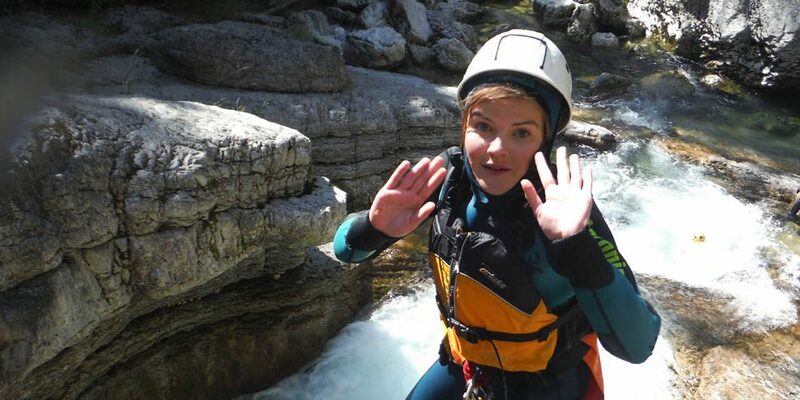 Canyoning consists of descending water courses and torrents on foot, by following the water’s direction, jumping, diving, sliding and progressing by using a rope but never upstream. 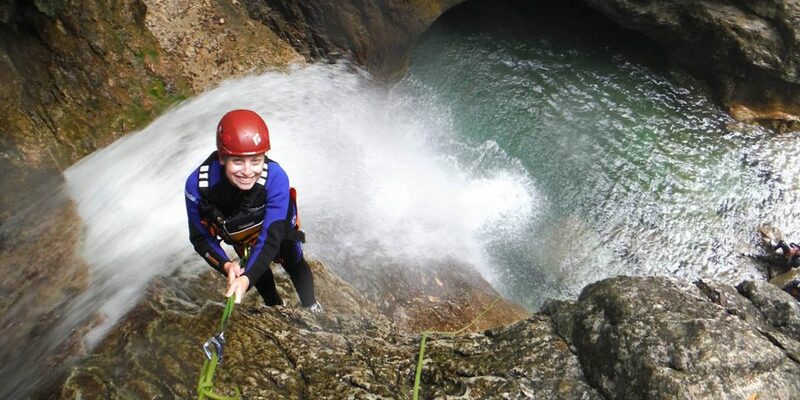 There are many canyoning itineraries around the area of Lake Garda. 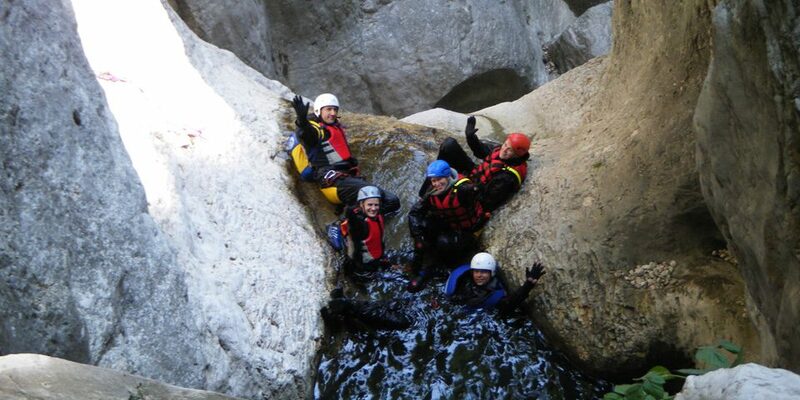 Canyoning is, therefore a small but great adventure. Fun, adrenaline and excitement make this aquatic activity unique. Exploring the canyons, untouched environments dug out by torrents over thousands of years. Abseiling into sun kissed canyons. Diving into pools of crystal clear water to then slide down naturally formed toboggan runs. Swimming carried by the current. Finding the concentration to dive in…screaming…and pure adrenaline!!! 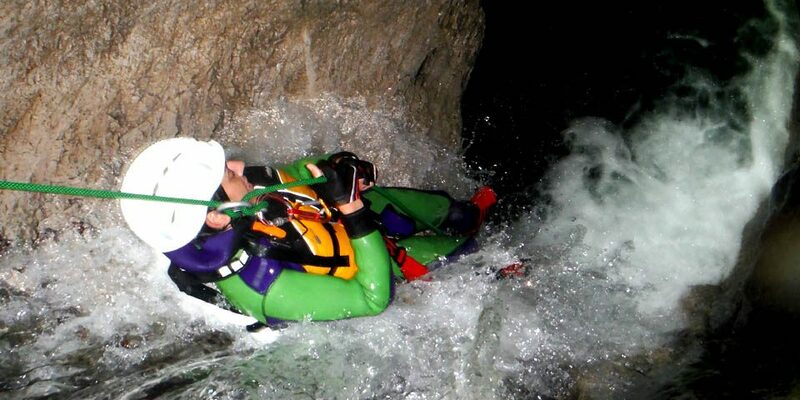 Canyoning is offered at different levels. A very normal person who loves water and with the right spirit of adventure is the ideal partner for this activity. Walk, dive, swim and slide are all things you can do…we deal with the rest. 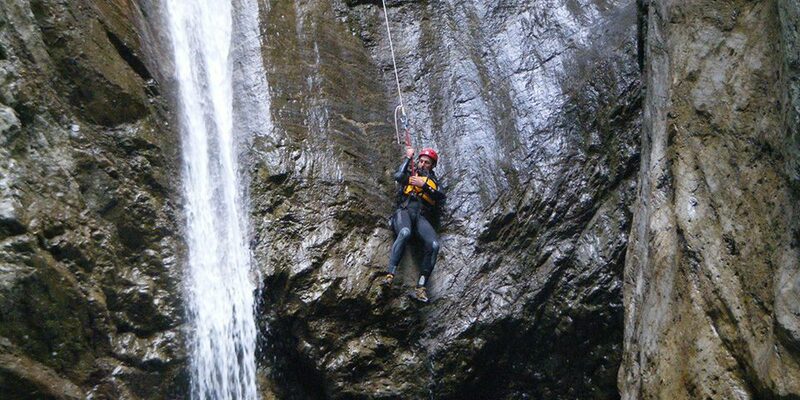 There is the option of…(pushing you in)….abseiling down using a rope. If I have never abseiled before? Throughout the descent you will gradually be able to approach this new experience. I will teach you the exact position and all you have to do is relax. The person that accompanies you knows all the itineraries perfectly and is a mountain guide. Remember that only mountain guides and canyoning instructors are authorized to lead you into canyons and it is your right to request proof of their qualifications … (campaign against unauthorized activity). Throughout the canyon you will use gym shoes, you need big ones (even one size bigger) a pair of shoes to change into, towel and swimming costume. What will my equipment consist of? Let’s say that a dip in cool water during summer doesn’t do you any harm, but considering that the water in the canyons are neither icy nor thermal you will be given a wetsuit (5mm neoprene), a neoprene vest, neoprene socks (you will need bigger shoes), a harness for the abseils and a helmet. If you smile, if you shout for joy and if you have enjoyed yourself you will be given a cd with the photos of your small but great adventure!!! The Rovereto torrent is recommended for your first time, a medium to difficult itinerary which lasts more or less two hours in the water. The outing will last half a day. Rovereto area. 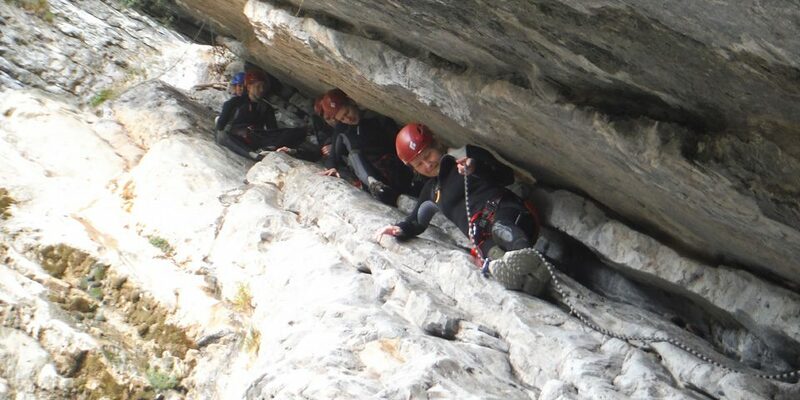 Technical and narrow canyon, near Riva del Garda, it offers some great abseils and not too many jumps. The Rovereto canyon starts off from the river Leno di Terragnolo, and carves out a deep and aquatic canyon near the S.Colombano heritage. The Palvico or Integral Canyon is in Ledro Valley near Storo, not far from Garda Lake.